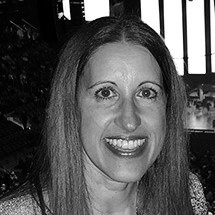 Lucy joined Net at Work after spending the last two decades at a professional services IT consulting firm focused on providing technology products and solutions including SAAS, software development, project management, network integration and support, staffing, help desk and managed services to educational, governmental, healthcare and corporate clients throughout the Northeast. Lucy’s passion and her vision for HR is aimed at developing programs and delivering services with quality and expertise that will enable Net at Work, and its sister companies (Pixafy, Docutrend and Swype) to be recognized by potential candidates, industry partners and clients as an employer of choice and to be regarded by employees as a great place to work. Lucy’s focus is to support Net at Work’s total operation – in meeting our goals through the effective acquisition, enablement, development, rewarding and retention of our most valuable resource – our PEOPLE.